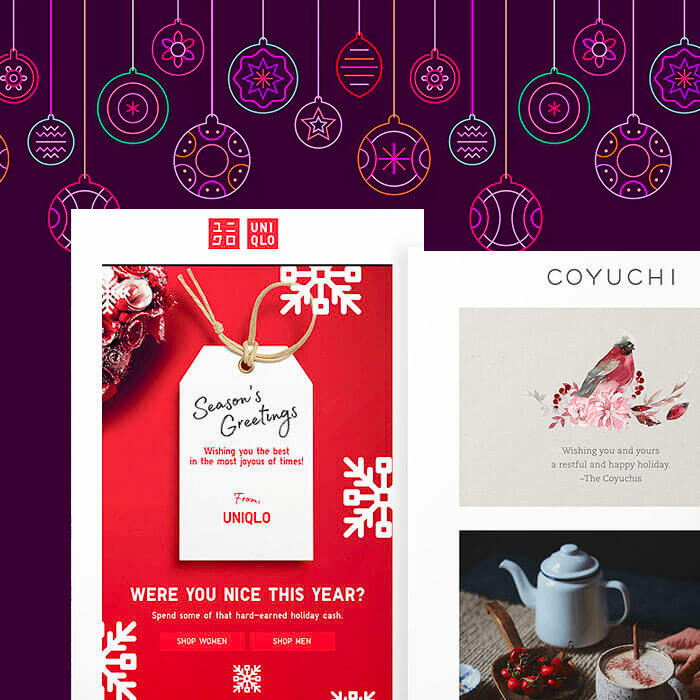 Curious about how a single brand tackles its email stream design? 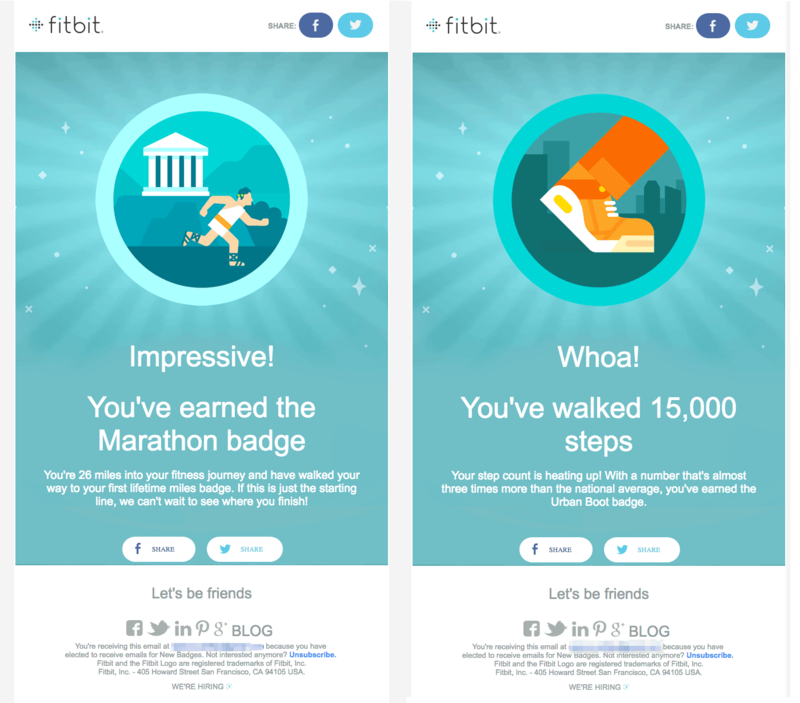 We’ll explore and analyze Fitbit, which sends a variety of emails—like product announcements, shipping alerts, and user notifications—to its subscribers. When it comes to products, the fitness brand often focuses on its activity trackers (like the wristband pictured below), so we’ll take a closer look at the messages to see which elements stay the same or change, and how style and voice are maintained across different designs and email types. 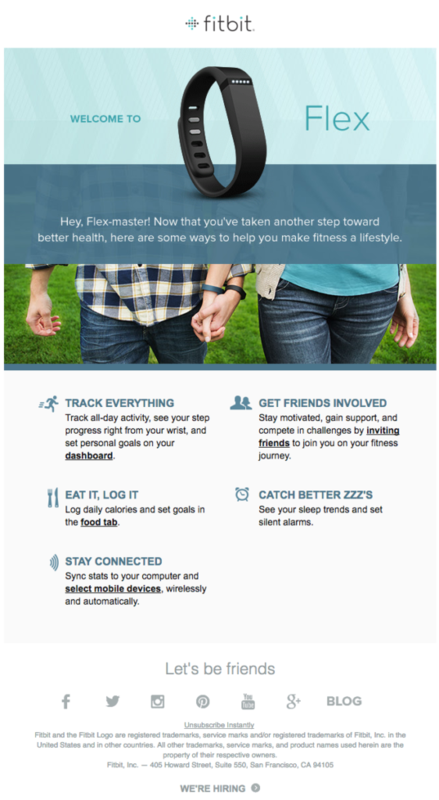 So let’s review Fitbit’s brand identity and then its emails to see what we can learn from the company’s email design philosophy. Iconography is also simple and clean. Its logo recently underwent an update, making the newer version even simpler and bolder. 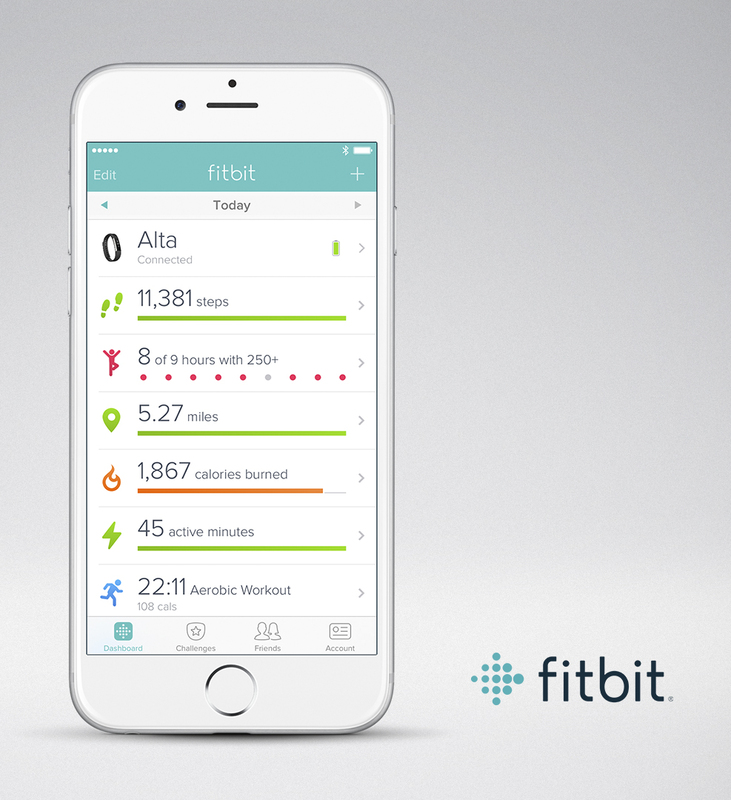 Plus, Fitbit’s web font is the popular, easy-to-read Proxima Nova. The intention of these feel-good messages is to acknowledge the user’s accomplishments, without asking the user to do anything more. 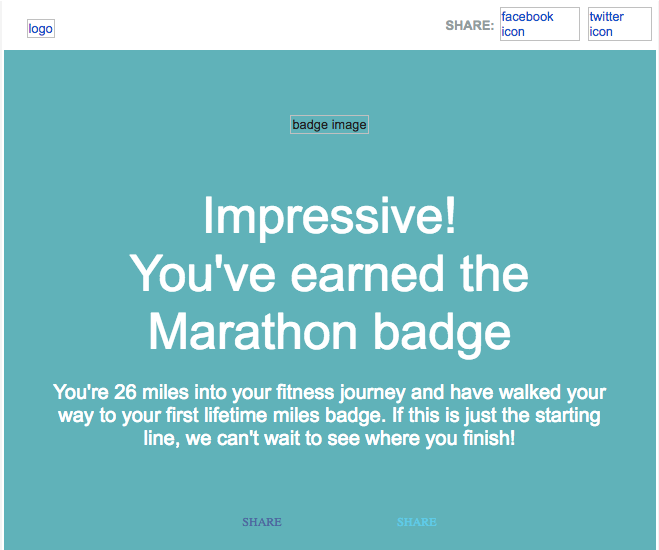 There’s no big call-to-action button, though Fitbit does include some social sharing buttons. 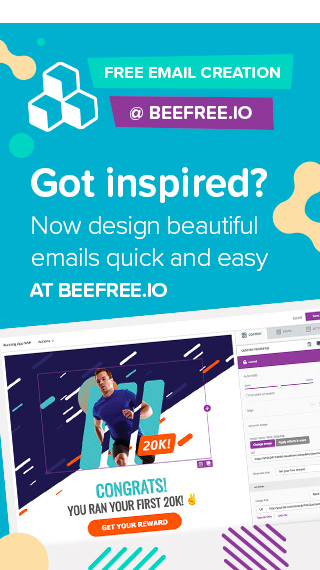 You can also see the key aesthetic of these emails is simplicity. They’re short and sweet, with a classic inverted pyramid structure to make for easy reading. The flat, geometric spot illustrations (the badges) are also easy to understand at a glance, and the high contrast of white font against a teal background makes the text pop. Using the email-safe Arial font for the header and support text means the message still shows up even with image-viewing turned off. Takeaway: Communicate a single, clear message to readers by keeping a simple email structure! Large text, bright colors, and simple illustrations can help communicate cheer. According to Litmus, 64% of consumers consider transaction confirmation emails the most valuable messages in their inbox. But the messages can get frustrating real fast if they’re cluttered or time-consuming to read. 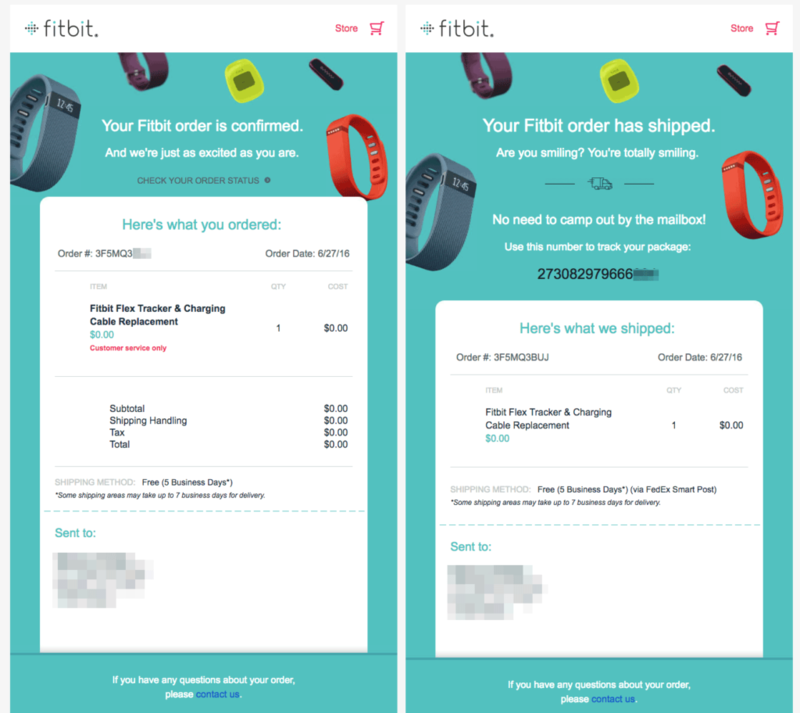 Confirmation emails, like the ones from Fitbit’s email stream design, should include an easy-to-spot tracking number, plus some key information (like what you ordered and where it’s being shipped from). 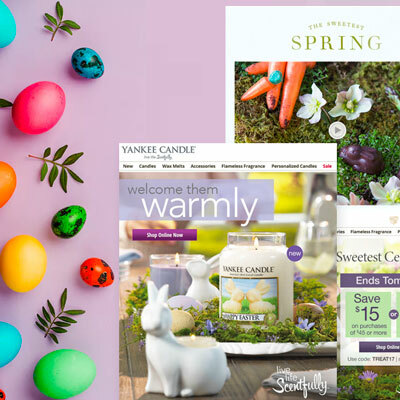 Not only does the brand provide the necessary info, but it does a great job of building excitement with playful messages (“Are you smiling?”) and equally playful product images. No doubt the reader will get excited that a Fitbit order is being processed. The main message is also clear and easily scanned because Fitbit uses a white background, readable font, line breaks, and three font colors (red, gray, teal) to organize information. Although the same header from other emails is used, social sharing buttons have been replaced with store icons. These “passive” CTAs (in the upper right) correspond well with the type of email sent, while the footer is almost completely eliminated. By removing extra CTAs, these emails are really user-focused, especially since Fitbit knows the only thing a reader wants to click is the tracking code. 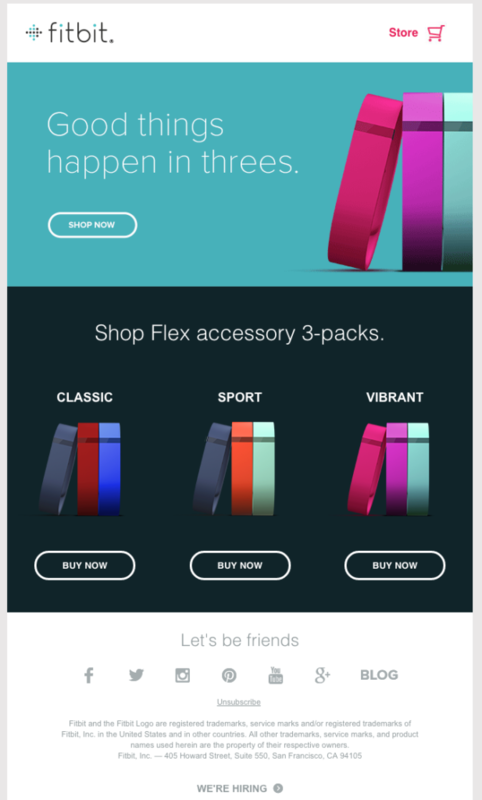 Takeaway: Make transaction emails easy to read by contrasting a white background against a primary brand color (the repeating teal) and using high-contrast text. Focus on the tracking number and order details, and exclude extras (like social sharing buttons or footers). A fun image and clear message convey an engaging brand voice. Fitbit knows it’s better to show than to tell, so product features pop on the screen to help readers see features in action. 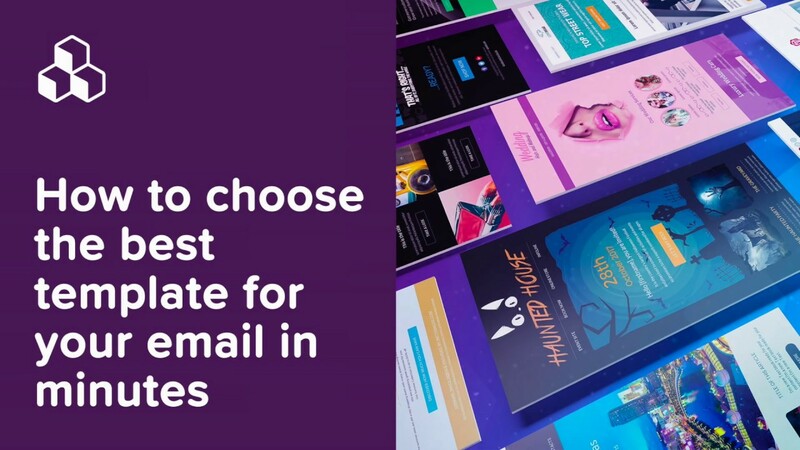 Both animations are also positioned at the top of the email to grab readers’ attention right away. Plus, the GIFs are simple; with only a few frames, they won’t be slow to download or eat up data plans. 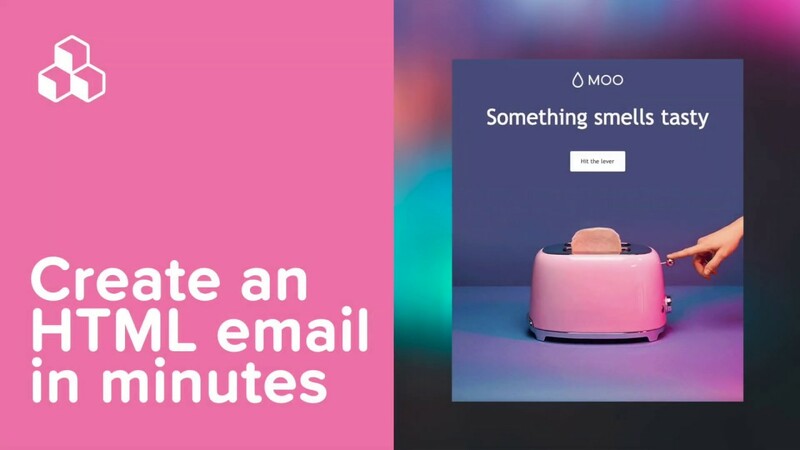 Takeaway: Put your animated GIFs to work—make them show off your product’s features and quickly demonstrate a product’s capabilities or features. Readers will be more engaged! 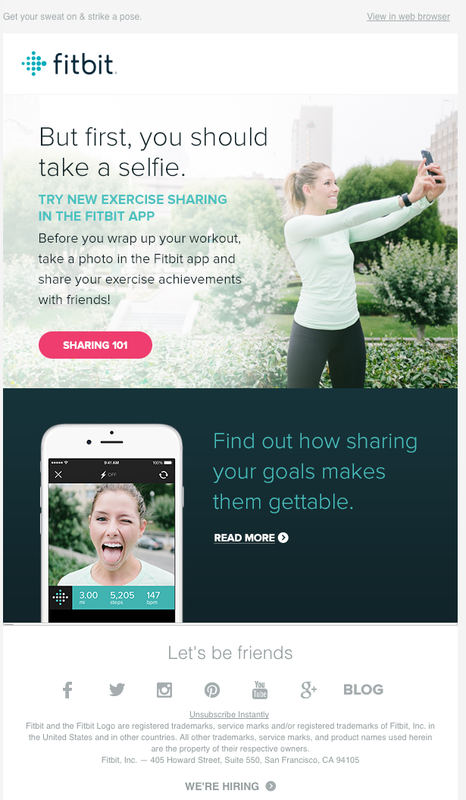 Beautiful photography used in an email stream design also makes a statement, and the photos in the recent email below enhances Fitbit’s modern and friendly brand identity. 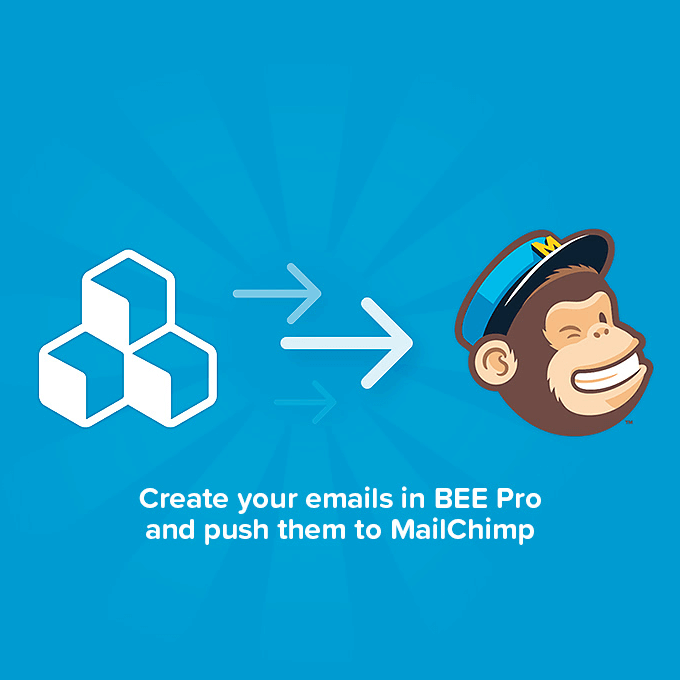 Layering text over the hero image is also a simple design trick that levels-up the email’s look. The photos below are bright and fresh. The goofy selfie face is playful and placing the image within the iPhone really shows readers how the feature works. 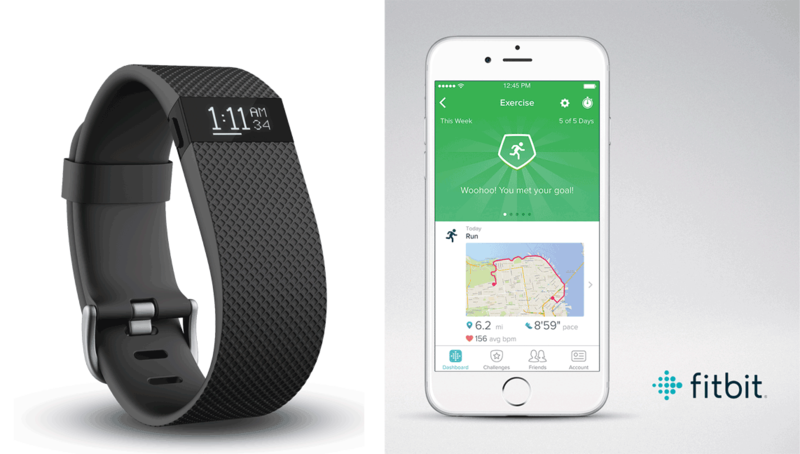 Here, Fitbit unveils a product again with beautiful hi-res images. And what better way to show updates to the app dashboard than with screen shots? It’s the quickest, most effective way to convey the redesign. 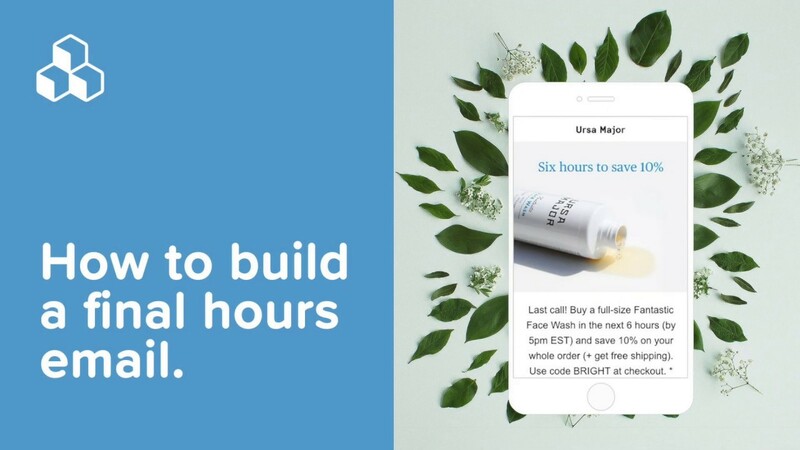 Takeaway: Use photos of your product in action for update or announcement emails. Let readers see exactly what you’re talking about with device mockups and image markups (like those pink circles).